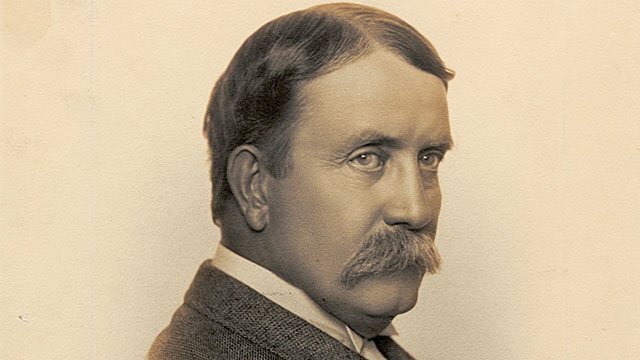 One of the most significant figures in Chicago’s history, Daniel H. Burnham was an architect, an urban planner, and, most of all, a businessman who knew how to make things happen. At the turn of the 20th century, he was arguably the most influential architect in America, albeit one who had not attended architecture school. Burnham was the principle of D. H. Burnham & Company, and before that, the partner of John Wellborn Root. Known for his admonition to “make no little plans,” Burnham also helped author the Plan of Chicago, which shaped the Chicago lakefront and much of the city as we know it today. Burnham was criticized, especially by Louis Sullivan, for designing buildings that looked like Roman and Greek temples. Sullivan championed a uniquely American architecture. But Burnham’s vision dominated the World’s Columbian Exposition of 1893, and its “White City” was a showcase for Beaux-Arts neoclassicism.